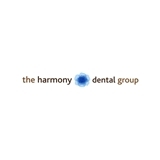 The Harmony Dental Group (Norwalk) - Book Appointment Online! I always love the warm reception and care that I receive when I visit The Harmony Dental Group in Norwalk, CT. Dr. Malek and his staff are very personable and friendly. I always tell people to try the Harmony Dental Group! I promise that they would enjoy their experience just as I always do!